For all the screaming and carrying on, their neighbours thought they'd won the lottery. But it was a lumpy old sofa stuffed with $40,000 in cash that had three young roommates raising a ruckus. And here's the other side of the ticket: They returned the money to the 91-year-old widow whose couch had been given away. 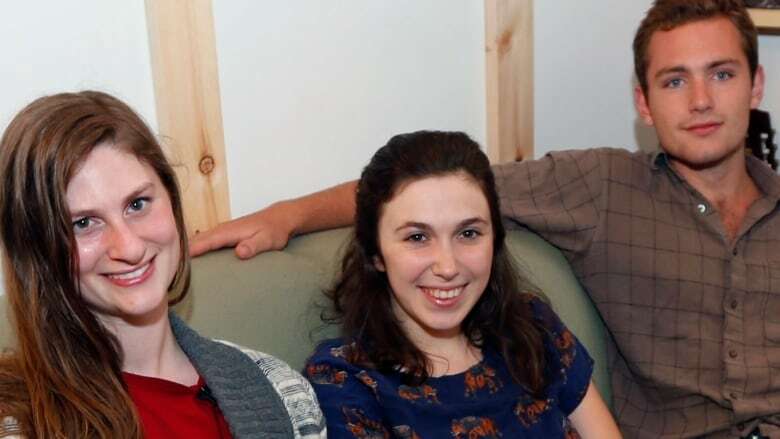 "We just pulled out envelopes and envelopes," said Cally Guasti, a social worker with Family of Woodstock who shares an apartment with two friends in New Paltz, 120 kilometres north of New York City. "My mouth was literally hanging open — everybody's was — it was an unfathomable amount." Guasti told The Associated Press on Thursday that she and her friends had bought the beat-up couch and a chair for $55 at a Salvation Army thrift shop in March. They noticed the arm cushions were weirdly lumpy. Then, one night in April, one of them, student Reese Werkhoven, of New York City, opened a zipper on one arm and found an envelope. It contained $4,000 in bubble-wrapped bills. Guasti, Werkhoven and roommate Lara Russo opened the other arm zipper and started mining the treasure stashed inside. They counted it up: $40,800. Later on, Guasti found a deposit slip with a woman's name on it. Werkhoven called her the next morning. "She said, 'I have a lot of money in that couch and I really need it,"' Guasti said. They drove to the home of the woman, who turned out to be the elderly woman. She cried in gratitude when they gave her the cash she had hidden away. The woman's family had donated the couch to the Salvation Army while she was having health problems. Guasti said the three had considered the option of keeping the money, but decided they couldn't do that. "At the end of the day, it wasn't ours," Guasti said. "I think if any of us had used it, it would have felt really wrong."